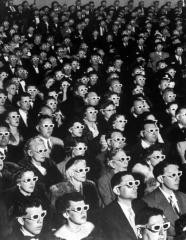 In Guy Debord’s Society of the Spectacle, he writes, “The spectacle presents itself simultaneously as all of society, as part of society, and as instrument of unification … The spectacle grasped in its totality is both the result and the project of the existing mode of production. It is not a supplement to the real world, an additional decoration. It is the heart of the unrealism of the real society. In all its specific forms, as information or propaganda, as advertisement or direct entertainment consumption, the spectacle is the present model of socially dominant life … It is the sun which never sets over the empire of modern passivity. It covers the entire surface of the world and bathes endlessly in its own glory.” And now the light of that sun is green. The green spectacle is confronting the climate crisis with hollow solutions presented to us in a pleasant, prefabricated package that can be bought if we can afford them and allow us to pollute in good conscience. In an absurd twist, these corporate false solutions cause the poor, and those who resist these schemes, to be blamed for destroying the planet. “It is not the oil companies who are to blame for climate change, but the poor who do not buy carbon offsets when they travel.” Thus, the climate crisis becomes another way to make money and increase corporate power. Often, the picture painted by mainstream media and water-rights activists is too simple – that of a single corporation (such as Coca-Cola in India or Bechtel in Bolivia) “corporatizing water;” the real story is not just of flamboyant tycoons or individual corporations sucking dry springs and groundwater to the detriment of poor subsistence farmers or slum-dwellers. Water is being privatized by a complex global network of investment banks, private equity firms, public pension funds, sovereign wealth funds and multinational corporations that are buying up and controlling water worldwide. Investment banks, including Goldman Sachs, JPMorgan Chase, Citigroup, Morgan Stanley, Deutsche Bank and Credit Suisse are aggressively buying up water rights all over the world. As climate change shrinks fresh water resources, there will be even more money to be made in private water. Climate change is already being used to give further legitimacy to the concepts of “national preservation” and “homeland security.” For example, Lee Gunn, president of the American Security Project has said, “Here’s how Washington should begin preparing for the consequences associated with climate change: Invest in capabilities within the U.S. government (including the Defense Department) to manage the humanitarian crises – such as a new flow of ‘climate refugees’ – that may accompany climate change and subsequently overwhelm local governments and threaten critical U.S. interests.” Once again, state and capital interests are the top priority, and the wellbeing of people and the environment are not even a consideration. He goes on to say that the United States should “lead the world in developing conflict-resolution mechanisms to mediate between climate change’s winners and losers.” And we all know who the winners will be. India has begun putting these ideas into practice. They are currently building a perimeter fence around their entire border with Bangladesh, a country more at risk than almost any other from the devastating consequences of rising sea levels. The fence has been explicitly talked about as a barrier to migration. If sea levels rise and Bangladeshi people are driven from their homes, they will find themselves trapped inside this cage. Capitalism results in the need for continuous war and ever-increasing rates of resource extraction, causing environmental degradation, climate change, social injustice and more war. The solutions to climate change within this system only feed the war machine and strengthen authoritarian regimes of control, while further degrading the rights of indigenous peoples and animals. The powerful have divided and conquered us for too long, and they have many tools to keep us mired in false conflict. But they are all human-made tools. We must build up our hearts, and realize that pacifism does not imply love. Love has emotion, and emotions are not passive and flat-lining. So to topple this system and create horizontal communities, we must fight with this love for ourselves, love for our families, friends and comrades. This is not a passive love – this is an emotional, burning love. True love is radical, and dangerous to this sterile system.